The Gladstone Healthy Harbour Partnership has developed an educational resource kit to form part of the school curriculum. The activities and assessment pieces aim at increasing student’s awareness of harbour testing for students from prep to grade 12. The GHHP Education Resource Kit is an effective method to educate students and their families about how the health of the harbour is being monitored, and the kit utilises GHHP resources such as the annual Report Card and children’s story book to create a comprehensive package. The package is aimed at not only building the student’s knowledge of harbour health testing, but also the scientific processes involved. The GHHP Education Resource Kit is providing an opportunity within the education system, for the community to gain an understanding of what is happening locally in the Gladstone region. An ongoing and sustainable program that ensures the awareness, use and understanding of the Gladstone Harbour Report Card now and in future year. 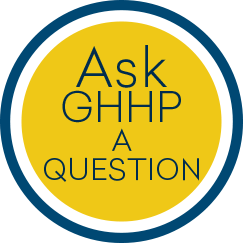 The GHHP fact sheets were created to provide an in depth and specific elaboration about what each indicator is, how it is tested and what the grade means. The GHHP Citizen Science Funding Program is aimed at involving the community in the science of monitoring and reporting on Gladstone waterways. The Citizen Science Funding Program's intention is to allow community based groups, the opportunity to partake in waterway science education, by participating in field-based experiences that would otherwise be inaccessible. The program is an initiative to involve and empower the Gladstone community in the sustainable use and management of waterways and the environmental assets in and around the harbour. Projects are encouraged to use a number of creative platforms to record and log information and progress (e.g. blogs, videos, pictures and reports). The Citizen Science Program must be interactive, creative, educational, and fun for the Gladstone community, while maintaining a science investigation structure. GHHP encourage applications from local community groups, schools/school groups and not-for-profit organisations. The first of a current two-part series of children’s story books commissioned by GHHP is "Gladstone Harbour Barry & Jenny’s Expedition”. The storybook is an innovative method of educating children about how the health of Gladstone Harbour is monitored and tested. “Gladstone Harbour Barry & Jenny’s Expedition” was produced through the collaboration of local artist, Ping Carlyon and local writer, Heidi Jones. The second edition in the Barry & Jenny storybook series; ‘Barry and Jenny’s Release: Gladstone Harbour Report Card 2016’ illustrates a journey around the Gladstone Harbour. Barry and Jenny’s journey around the harbour sees them visit some iconic landmarks in the Gladstone Region and share the actual results from the 2016 report card with some Gladstone Harbour locals. Again, the book was produced through the collaboration of local artist, Ping Carlyon and local writer, Heidi Jones. The third edition in the Barry & Jenny storybook series is scheduled for release mid 2018. Look out for it to add to your collection. The storybooks are provided free to schools in multiple copies to be included in the school’s reader sets. Winnie is a beautiful 1.5-metre-long and 1-metre-wide Paper-mâché turtle and she is available to loan for any activity or event. GHHP commissioned a realistic 3D scale model of Gladstone Harbour. The model is used to communicate partnership activities and results of Harbour monitoring. Created by Queensland Company VH Models, the model provides accurate details of the Harbour and surrounding catchments. The model can be seen each year in the Gladstone Library and at Ecofest. 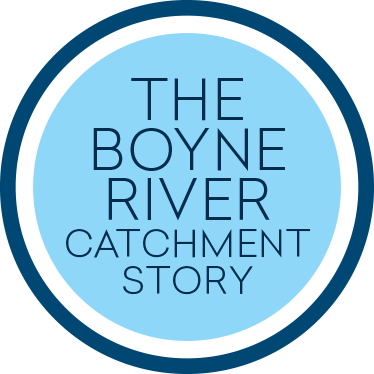 The Boyne River Catchment story tells the tale of a single water drop that travels through the Gladstone Region waterways, starting at Awoonga Dam and ending its journey in the Gladstone Harbour. The story focusses on the impact that families, local businesses, industry workers, schools and the rest of the community have on the health of the water that runs through our waterways and ends up in Gladstone Harbour. The story is a great way to educate children about the impact they can have on the health of our waterways and Gladstone Harbour. One of the groups listed above may be able to represent you on the Gladstone Healthy Harbour Partnership. Alternatively, if you would like to get involved, please contact us.